From the buzzing vibe of the Big Apple to the dazzling lights of the Eiffel Tower or hitting the clubs in Amsterdam, Contiki wants to make sure your customers have a New Year they’ll remember forever. Amsterdam: You can always expect a DAM good time as you uncover the hidden clubs, scout the best cafes and have plenty of time enjoy the endless escapades of the city in between festivities. 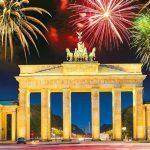 Berlin for New Year: With Berlin holding the title as the nightclubbing capital of Europe, and New Year’s Eve being the biggest party of the year, is it any wonder that Berlin does new year like no other? Paris: Get to know the chic French capital in depth this winter and see the city on an ‘illuminations’ tour, covering the must-see sights and setting the tastebuds off with French cuisine. Relax on a Seine River cruise or take in the cultural side and dive into many museums, galleries and cafes. 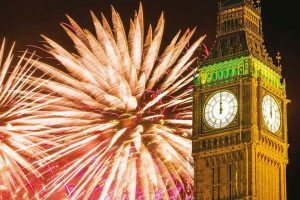 London: In a city where Tudor buildings meet cocktail bars, NYE is serious business. Prepare to be utterly blown away as fireworks illuminate historical monuments and the city comes alive with electric energy. Las Vegas: No doubt this is where the party is at! Think of a Vegas fiesta with complimentary club entry and plenty of time for sightseeing either side of the big night, this is your ticket to one very special end of the year. New York: What many consider the ‘centre of the universe’ and the ‘city that doesn’t sleep’, you can expect to experience NY’s crazy nightlife, whilst still taking in everything this city has to offer – from the Statue of Liberty to Central Park plus the famous Fifth Avenue and Rockefeller Centre. For those that wish to stay closer to home, jet across the Tasman and hit up New Zealand’s Rhythm & Alps – Spend a week on the south island, soaking up the stunning scenery and get the chance to experience amazing adventure activities in Queenstown – and of course, your music fix sorted with the likes of Matt Corby, The Black Seeds, The Cat Empire and Vince Staples! With an included 2-day festival pass and VIP perks, topped with some glamping – this will be one trip you’ll never forget.